Though the Venice Commission, European Commissioner Hahn and Members of the European Parliament, G7 Ambassadors, human rights defenders all urged the Rada to cancel e-declarations requirement for anticorruption activists, MPs failed to even postpone the deadline for such a submission. 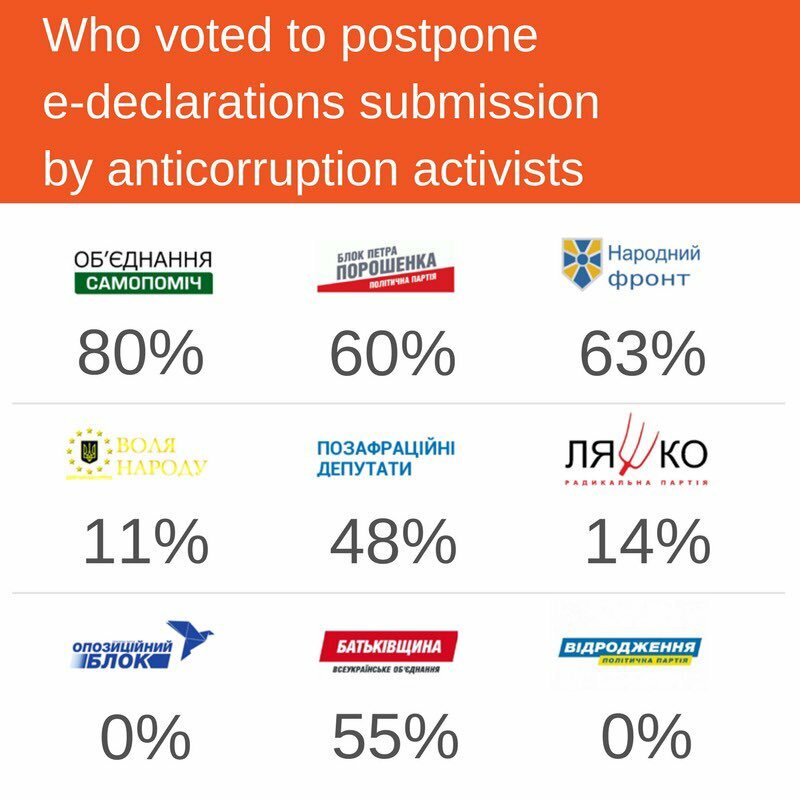 Since this was the last day of parliamentary session before the deadline on March 31, no more opportunity is left to free anticorruption activists and individuals related to any anticorruption activity from obligation to submit e-declarations for 2017. Activists are not the target! In the meantime, NACP issued an explanation obliging to submit e-declarations "individuals who in the course of the educational trainings in the field of corruption prevention and counteraction received free presentation or educational materials, stationery, accommodation services, meals, compensation for transportation to the event venue etc. at the expense of the funds and within such programme or project regardless of what organization or individual makes that payment or provides the assets.'' More details. 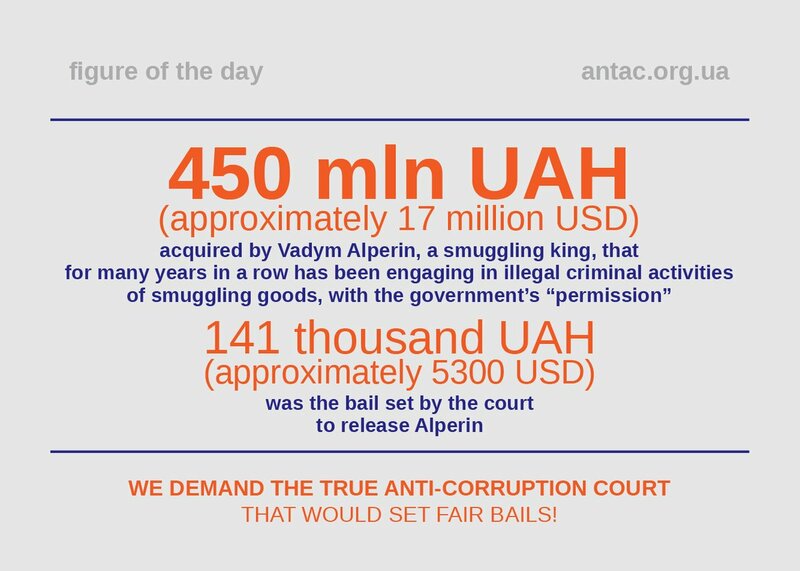 By March 15 MPs submitted proposals for amending the draft law on the anticorruption court for the second reading. At least three factions (Narodnyi Front, Batkivshchyna, Samopomich) offered to introduce veto powers for the Council of International Experts. In the meantime, the Head of the Rada Committee on Legal Policy and Justice Ruslan Kniazevych (Poroshenko’s block) failed to invite the Venice Commission experts for participation in development of the draft law. Kniazevych claims he will offer the committee to create a working group on the draft law on anticorruption court and this very group may subsequently ask the Speaker to invite the Venice Commission experts. However, according to the Rada’s Rules of Procedure respective issue is in the competence of the committee, not its working group. Moreover, MPs of the Poroshenko’s block sabotage meetings of the committee, as a result the committee have not had quorum for three times in a row. In such a situation, even consideration of the issue of establishment of the working group or invitation of the Venice Commission experts may be postponed for unlimited period of time. According to the Rules of Procedure, invitation of the Venice Commission experts may also be initiated by the Speaker of the Parliament. 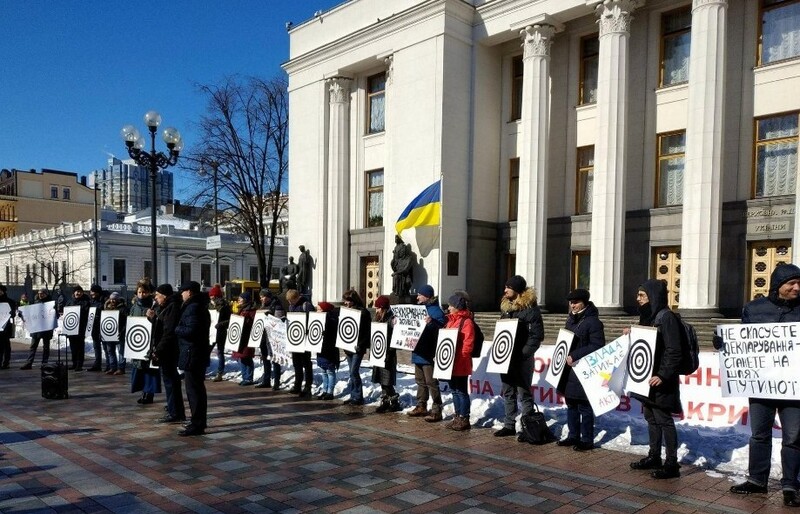 On March 22 NABU/SAPO served a notice of suspicion to the head of a district state administration in Kyiv for declaring false statements. The official concealed information regarding a land plot he used and his wife's corporate rights worth of 2 million UAH. 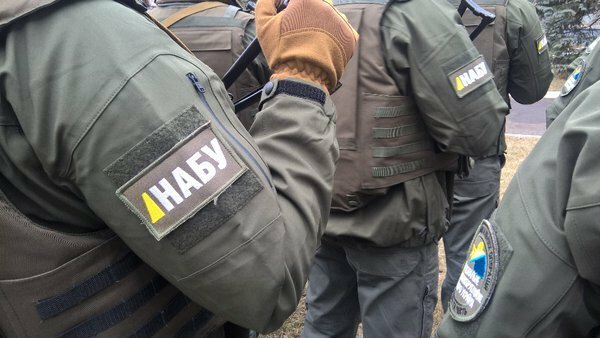 On March 14 NABU finished a pre-trial investigation in the case against Oleh Holyashkin, judge of the High Administrative Court of Ukraine. He is suspected in declaring false information. Specifically, the judge failed to declare two apartments in Kyiv city center, where he actually lived with his family. Officially the estate was owned by his mother.